New with no dust jacket. 0553560735. New book in perfect condition. 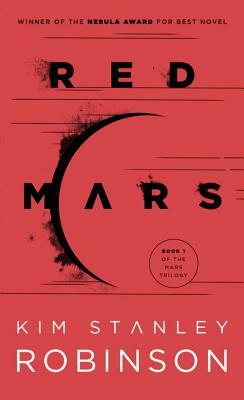 ; Mars Trilogy; 6.90 X 4.10 X 1.60 inches; 592 pages; Box 6. Red Mars tells the story of the colonization of Mars. It's the first book in a trilogy - followed by Green Mars and Blue Mars - which follows the fortunes both of the Martian colonization experience, and of the "First One Hundred" - the initial band of settlers who begin the process. It's hard to imagine a more detailed and compelling book about extraterrestrial settlement and colonization every being written. The book, and the trilogy as a whole, is wonderfully written, with compelling characters (my favourite is Sax Russell), brilliantly imaginative scientific extrapolations, accurate information on the geology and geography of Mars, and sincere and thought-provoking ideas about human society.